Detail page about the company: Braveheart Marine B.V.
Braveheart Marine is proud to provide marine services to a large number of nationally and internationally well-known dredging and offshore companies. Our fleet operates worldwide. Braveheart Marine is specialised in hydrographic studies, crew transfers, offshore wind farm inspections, diving support and subsea oil-spill detection services. By deploying fast, high performance vessels for this purpose, they are able to operate very competitively. The vessels are equipped to gather data at a speed of no less than 20 knots, with a maximum wave height of 3.50 meters. Special depth measurements are done allowing clients to effectively manage working processes like dredging-, port-and-water-way-maintenance and replenishment work. The vessels can be deployed to survey the water column and the sea bed, using deck equipment, such as an A-frame, winch and crane, CDT and density sensors can be lowered down to the bed in a controlled manner. The crew tender vessels operate 24 hours a day, seven days a week and sail back and forth between dry land and working areas like platforms, wind farms and trailing suction hopper dredgers. With room for up to twelve persons on board, some of the vessels transport not only people but also provisions, packages and materials. The fleet operates in waves up to four meters in height, sailing at a speed of 20 knots an hour. Javelin International is a sister company of Braveheart Marine. Javelin International designs and develops effective vessels for the offshore and windfarms . The practice experience they have gained in the offshore and windfarm industry is combined with the demand and needs of the market. In order to design multifunctional vessels but also to increase the work area. If you are interested in a company with experience in the field of hydrographic survey and crew transfers, please do not hesitate to contact us. Braveheart Marine is focused on the future, taking further steps into new fields of expertise, for example the development of software to detect oil without the need for ROV inspection. Braveheart Marine represents a global community where flexibility, innovation and commitment leads to satisfied clients. 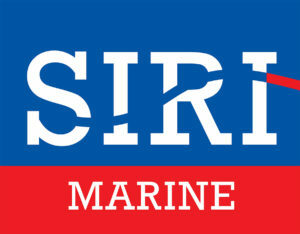 Projects of Braveheart Marine B.V.